I have a lilac bush that I got from my grandmother's place. It was a small plant at the time and now it is a huge lilac bush next to the house and it is blocking a gate. I need to move it if possible. I was thinking I could dig it up and divide it into several bushes. It started as a 6 inch bush and now is about 6 ft. wide and about 10 ft. tall. 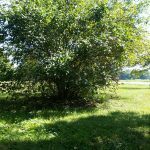 Can I trim it down, dig it up, divide it or transplant to several locations in the yard where it would have plenty of room to spread out? I have dug up other shoots from it and will plant those too this fall. Can I cut a stem and put in rooting compound and start new plants that way? 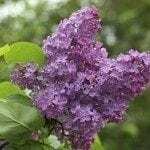 As for dividing the lilac, it is unlikely you'll be able to do so though you can obtain or dig away the shoots to make additional plants. Dig down from the main clump, exposing the roots and cut the shoot away from the mother plant. Make sure you include roots. Then simply plant the shoot in a suitable location, watering regularly until it takes hold.